“Blending literary scholarship with practical coaching on how to craft short or long life narratives, Rainer traces the history of autobiography from Egyptian inscriptions through its recent evolution on the bestseller lists. Aided by examples from such writers as Maya Angelou, Russell Baker, Richard Rodriguez, Maxine Hong Kingston, Mikal Gilmore, and Carolyn See, among others, Rainer demonstrates how to write character portraits, how to remember what you thought you had forgotten, how to unify a story with thematic conflict, how to write scenes with dialogue and employ other fictional devices, how to use humor and perspective, and how to move through time. 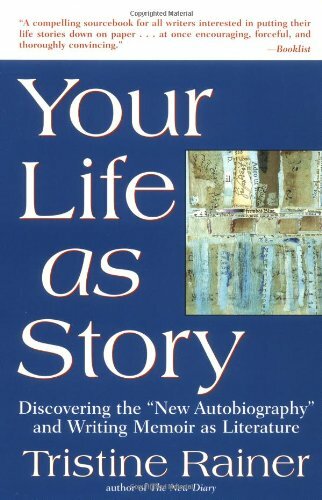 The author shares her remarkable techniques for finding the essentials of story structure within your life’s scattered experiences. She also shows that autobiography need not be a linear, heroic quest, but may be assembled like a quilt, the pattern gradually emerging.